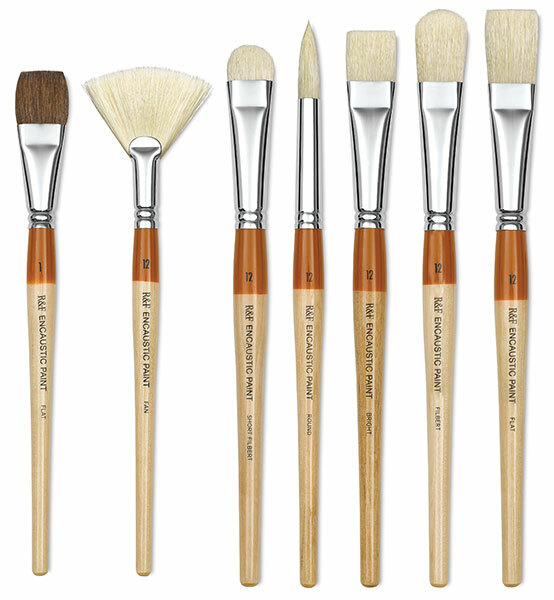 The R&F Encaustic Brush line includes several varieties of natural Chungking bristle brushes, including Bright, Flat, Filbert, Short Filbert, Round, and Fan shapes. 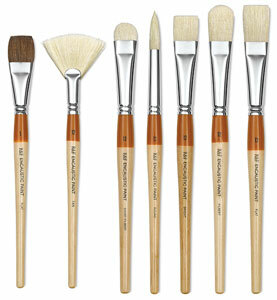 Each brush features a unique mid-length handle designed specifically for tabletop painting on encaustic surfaces. Short Filbert — The Short Filbert brush provides a stronger spring than the Filbert yet features the Filbert's flat shape with rounded edges. For a softer stroke than a Flat or Bright brush, the Short Filbert is a good choice.